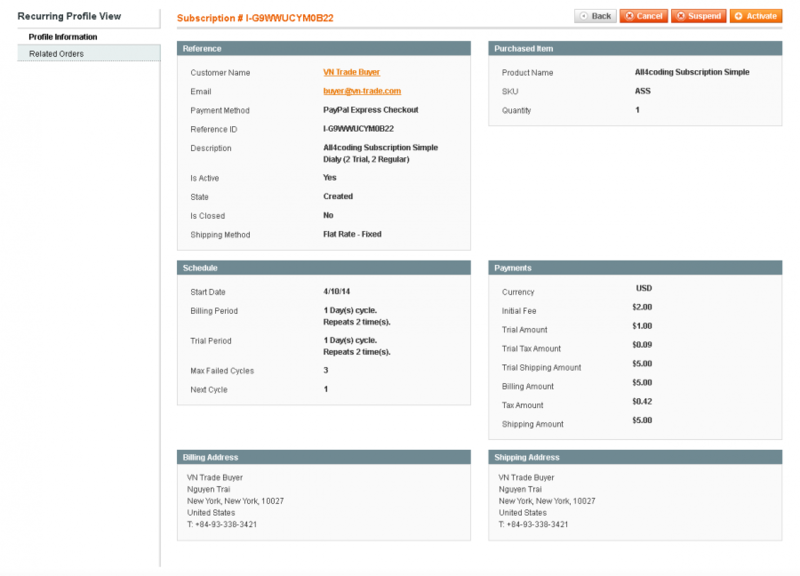 The Subscriptions and Recurring Payments extension allow you to sell products on a daily, weekly, monthly, or yearly subscription basis with any duration. Offer a magazine subscription for one year with a weekly periodicity or coffee delivery each three weeks. Prices of subscription intervals can also vary from each other and you can set them up in the way you like: e. g. motivate customers to subscribe for a longer period by making this kind of subscription cheaper and thus more profitable for them. You can continue to sell these products as a one-off sale; but your customers can opt to buy a subscription if they wish - and they can do it right from your online store. 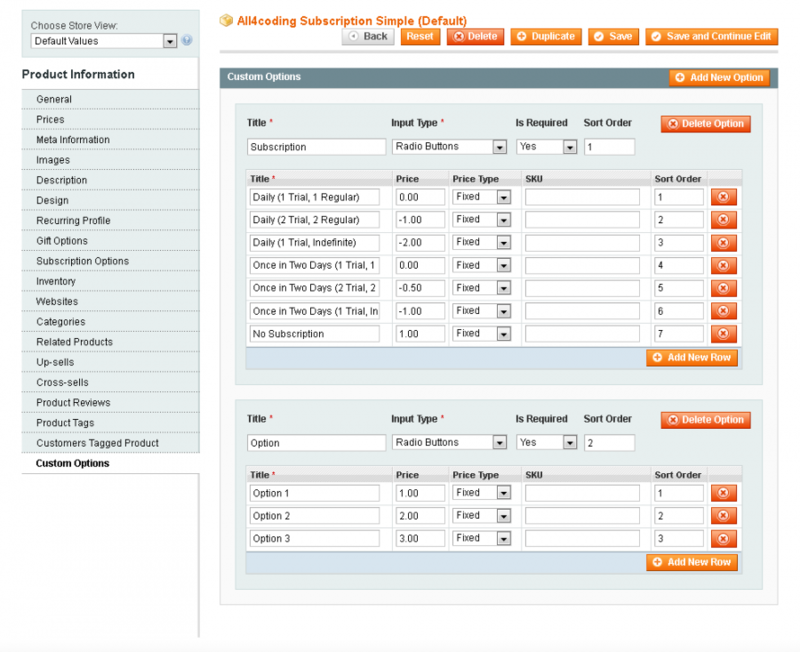 As soon as a customer subscribes to any item, he/she create a recurring profile for the subscription product. All future payments will be created automatically according to recurring profile settings. 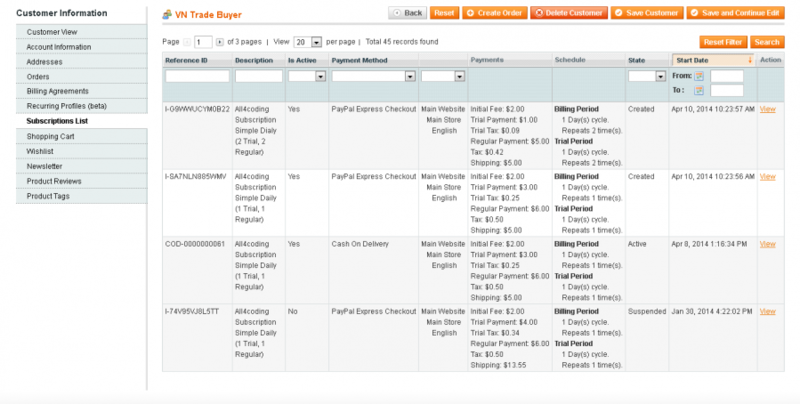 You can allow customer to schedule the start day of payments or moment of purchase. 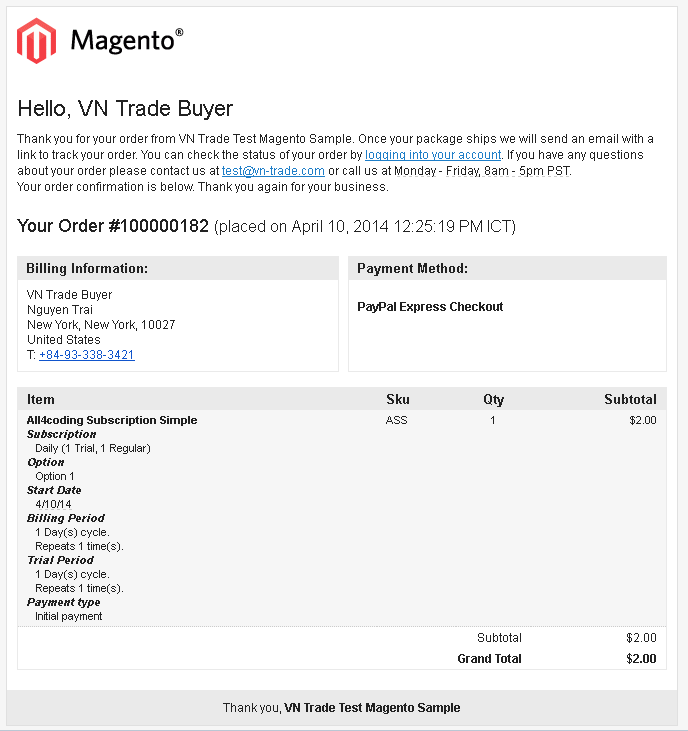 The module supports PayPal Express Checkout and PayPal Pro to schedule orders in advance. So you can accept credit card and bank account payments for magazines, software licenses, or products like grocery, bottled water, memberships, pills, detergents, newsletter fees, club dues, or recurring donations, etc. 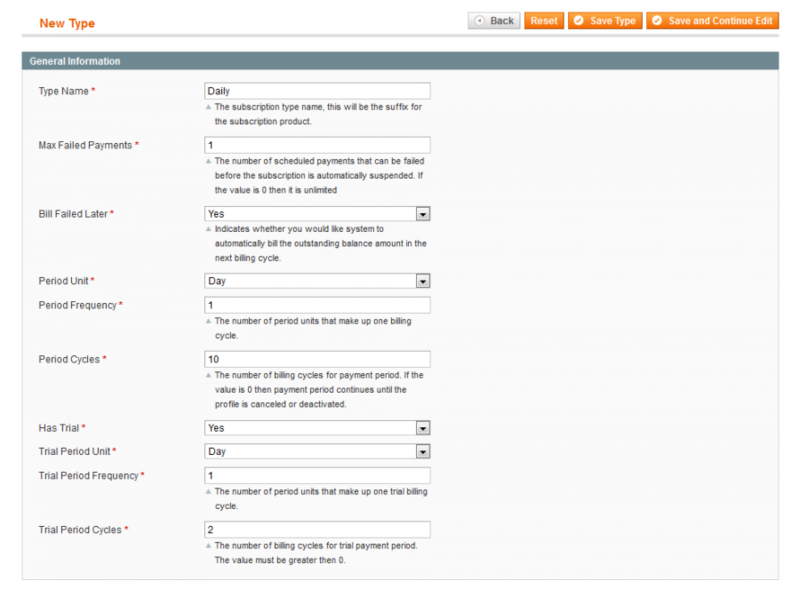 The Subscriptions and Recurring Payments extension for Magento uses native business logic of payments methods and allows you to configure trial period and initial fee for each subscription period with its own prices and durations. Support product types: You can add subscription options to products of simple, virtual, downloadable, configurable or bundle type. 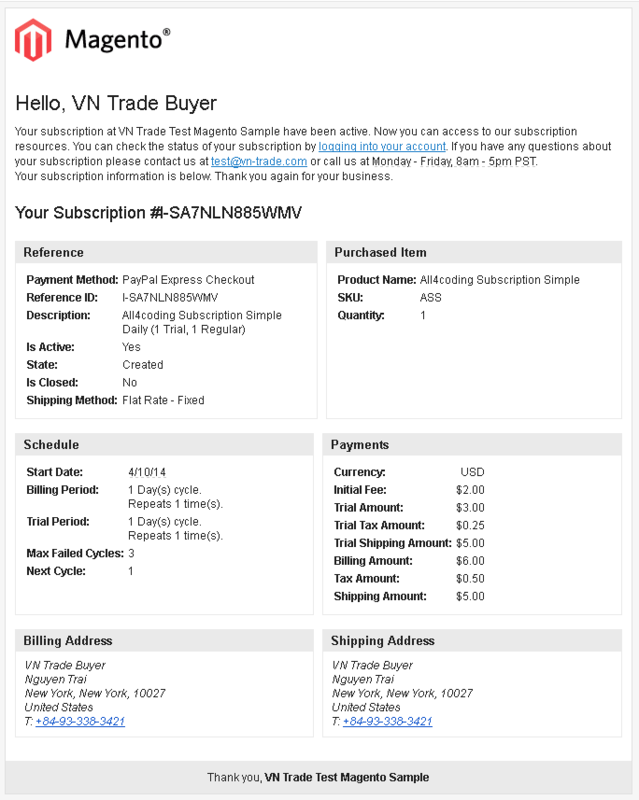 Create custom options for the product as usual with the name of the subscription period; define the sequence of its displaying in the frontend and subscription period price. Define the number of units in one subscription period. For example: if you want to offer coffee delivery every third week, you should configure the following: minimal unit within a period – week; number of units in a period – 3. Infinite subscription type. The module allows customers to subscribe to any product once and receive the delivery forever. 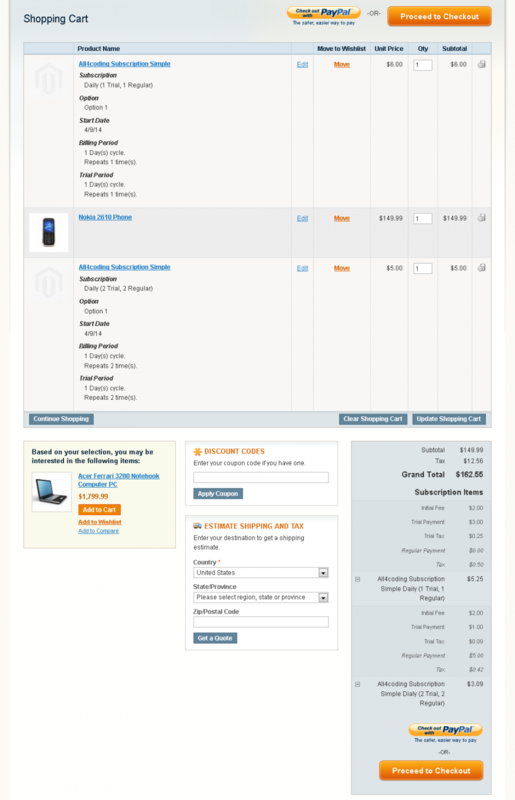 The payments will be created automatically. 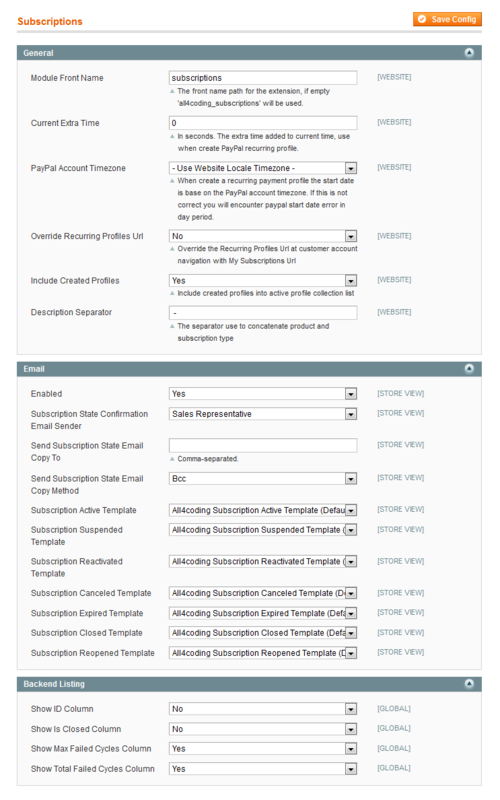 If you want to limit the duration of subscription period, you can specify the number of occurrences of the subscription type. 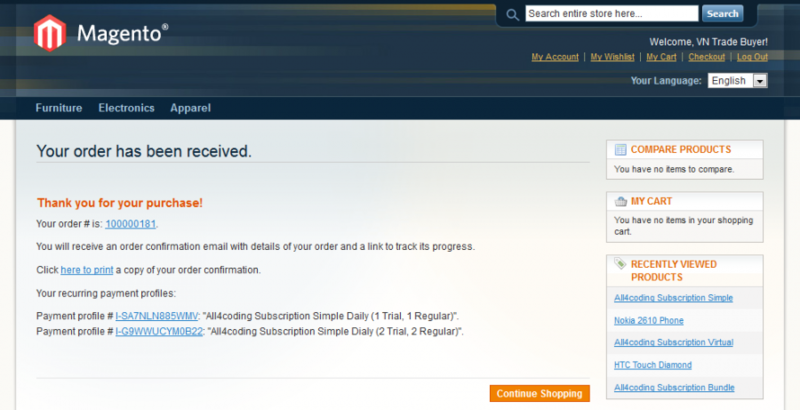 When the subscription is expired, a customer should subscribe to it again to get the delivery. With the help of the module, you can offer products that can’t be purchased as a one-off sale. As soon as customers subscribe for a subscription product. 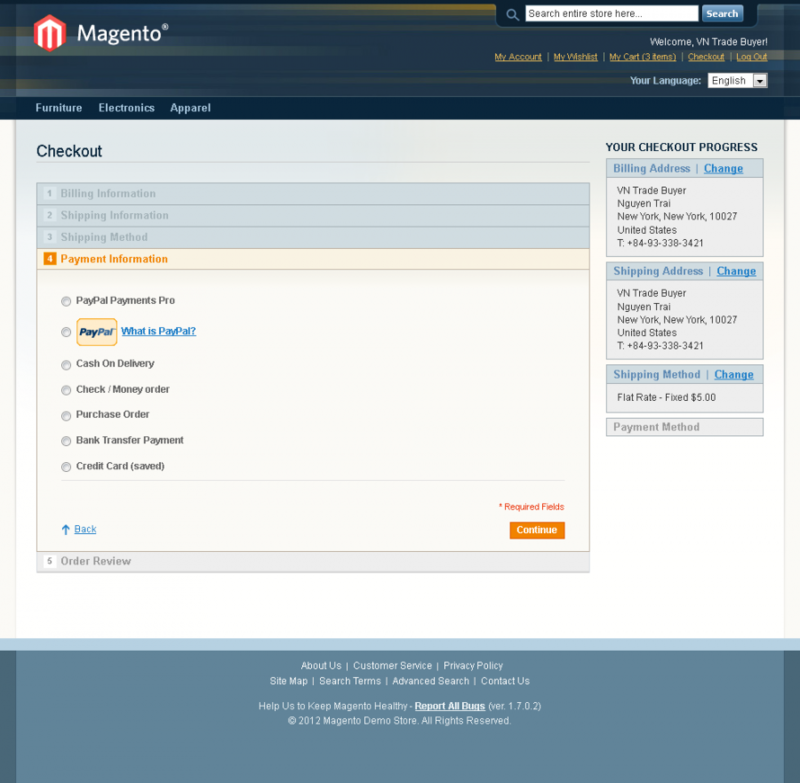 You can view all subscriptions in the backend. 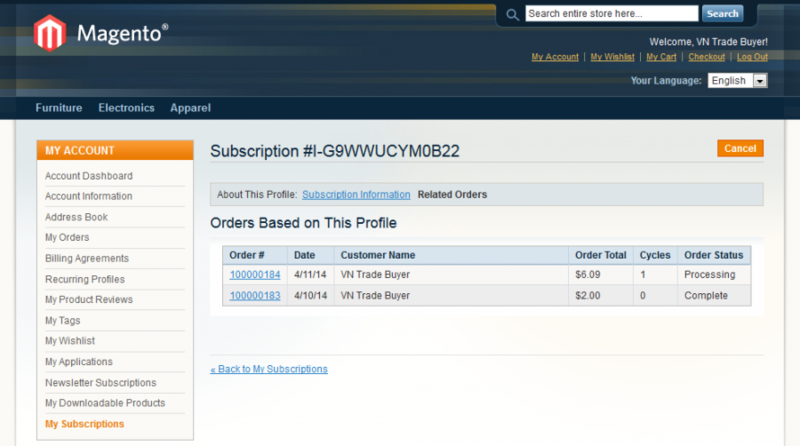 In customer Information page there is a subscriptions list tab that will list all subscriptions that belong to this customer. 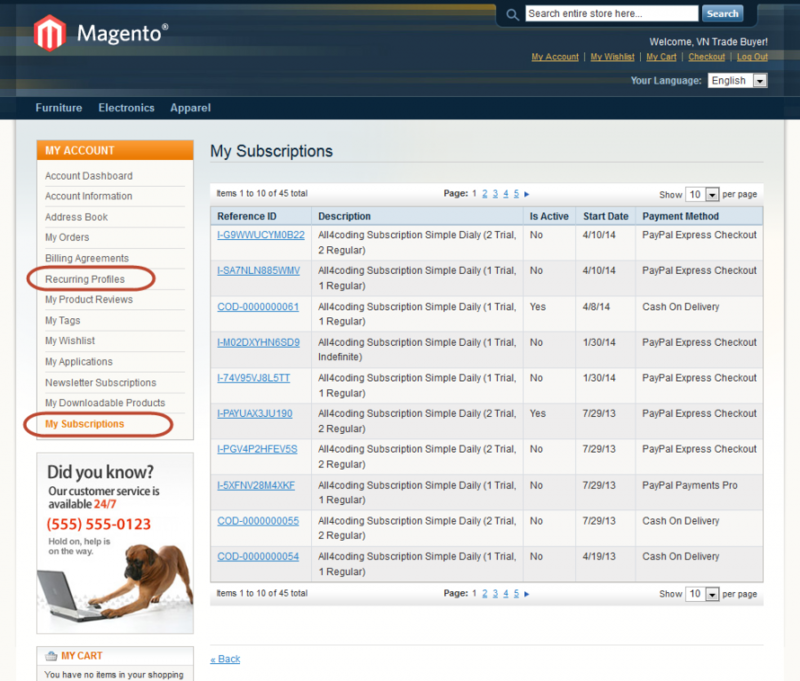 You can adjust one trial period per each subscription type. 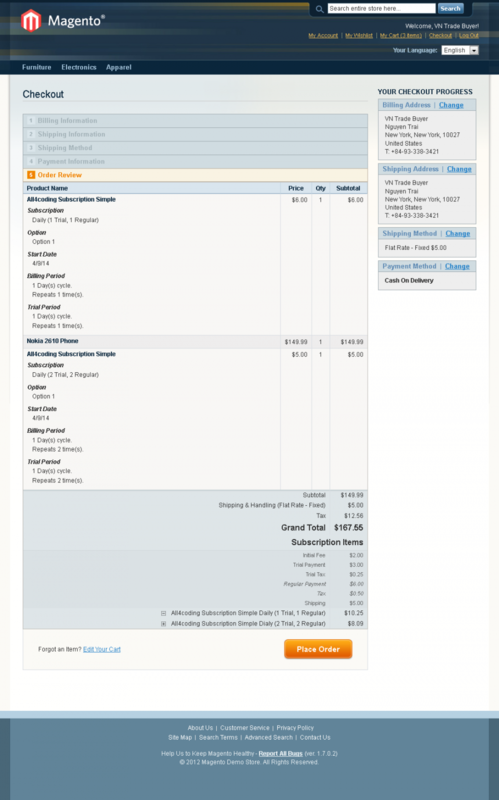 Offer free trial subscription or define the price different from the ordinary subscription price (these amounts will be summarized at the shopping cart). 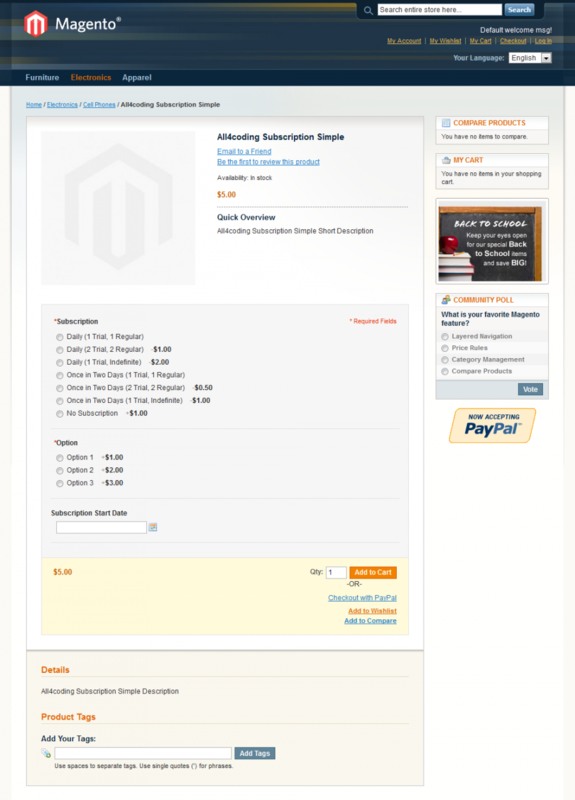 The module allows you to enable starting fee for any subscription. The number of fail cycles that allow the customer subscription still in active state. 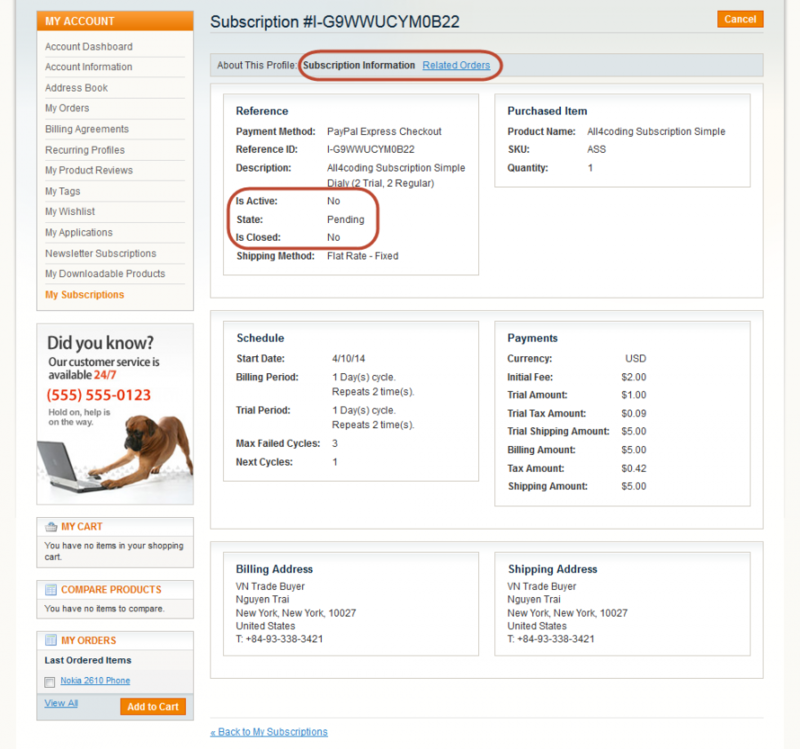 Customers can check the status and periodicity of their subscriptions, pay outstanding amount or even cancel the subscription in their account area.